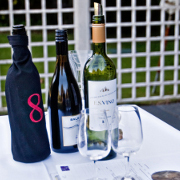 ThirtyFifty has a team of wine experts based around the UK covering England, Scotland and Wales. Our mobile team can travel to most locations subject to a travel cost to cover their time, petrol and any parking fees. The travel cost for each postcode area varies according to the availablity of our team and can only be confirmed at the time of booking. Travel costs typically range from £20 to £50 but may be higher for certain areas or more remote destinations. The earlier you book your event the more likely you are to be charged the lowest cost for the nearest person available to you. When checking availability please let us know the exact postcode or postcode area if possible. If you would like us to run a wine tasting event outside these locations please get in touch - in some instances this may be possible.